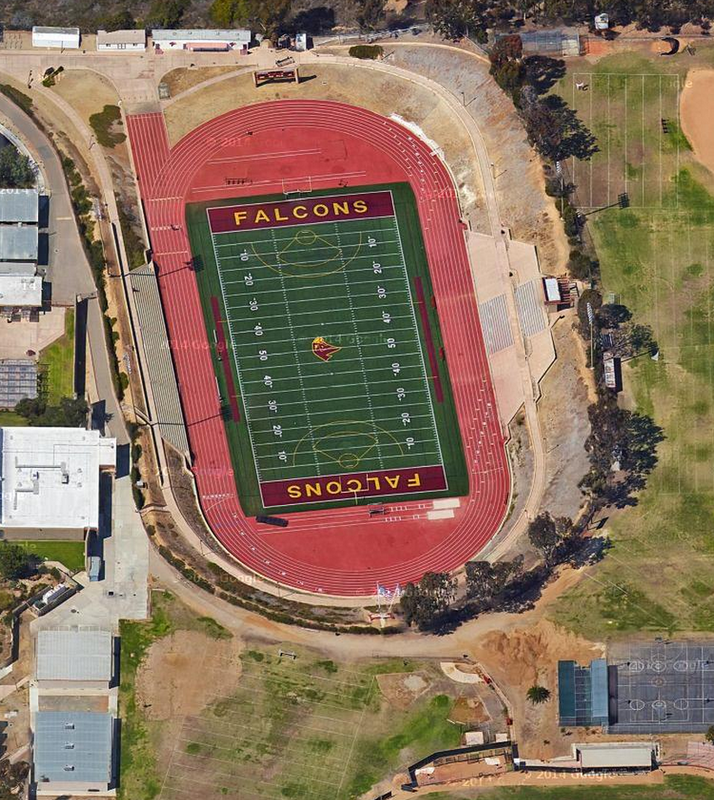 I have one more track to post from the San Diego area, and today’s is found at Torrey Pines High School. The Falcons‘ home track has a nice all-weather surface that is done in a bowl. The track has eight lanes, with both D-zones filled in for the field events. All jumps are inside those ends, and the throws are outside in the field area to the south. There are four home meets on the TPHS schedule this season. Looks like a nice facility!